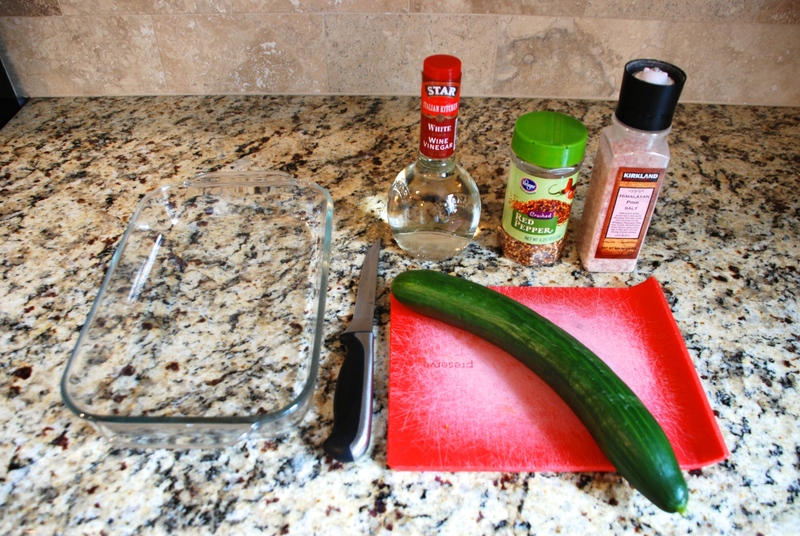 I used these cucumbers to top the Thai Turkey Burgers I posted last week. The combination is absolutely DYNAMITE! 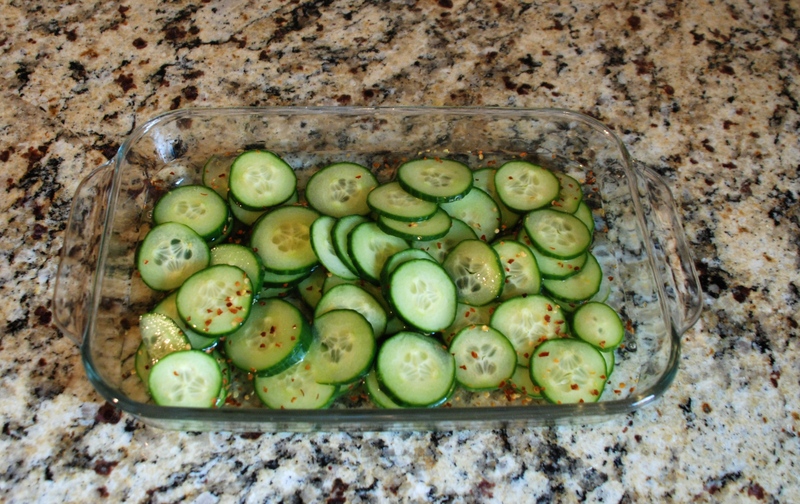 The truth is, these quick cucs are so good you can simply eat them plain if you’d like! Place in the fridge for an hour, or longer if you want more flavor. I also have to admit that our Himalayan Pink Salt has a broken crusher, cruncher, the thing that squishes the salt and makes it fine-grained and delightful. So I struggle with our salt because it is difficult to use! 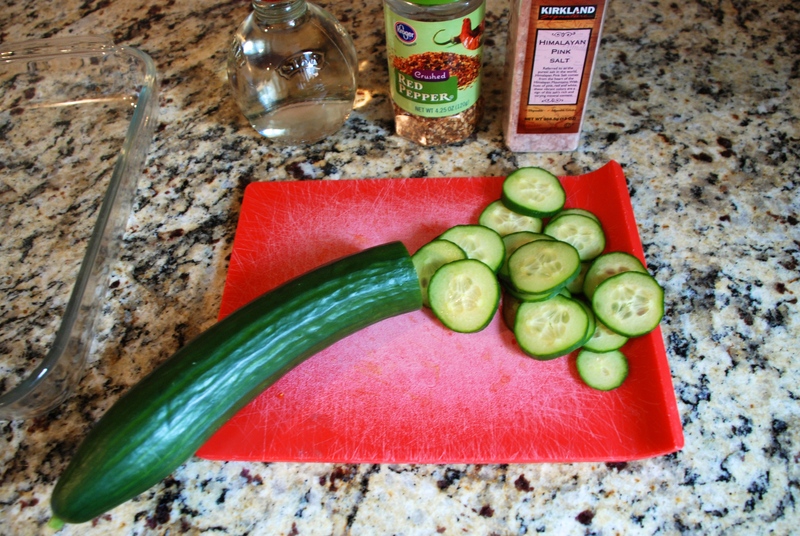 These cucumbers, tho. Do you like cucumbers? I really loved these as a side!